The Deutsche Bank has assembled the world’s biggest corporate art collection, which today constitutes 50,000 works of art, displayed in some 1,000 branches and exhibitions around the world. My concept was to invite a head representative of the Deutsche Bank art collection to the annual showcase of the Academy of Media Arts, giving the Deutsche Bank Art an unrestricted opportunity to present their concept of collection. This presentation, on what so ever, would embody my contribution tho the showcase and is hence my artwork. 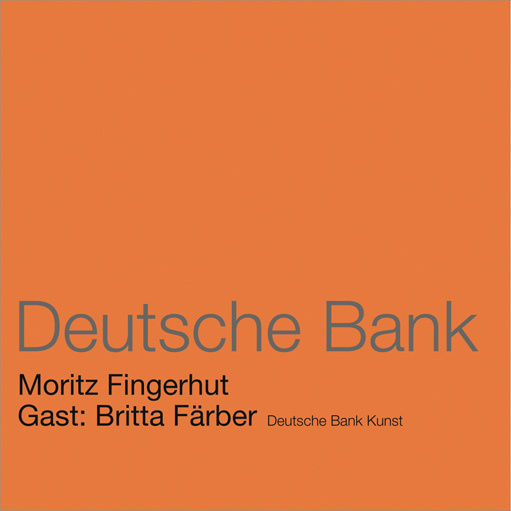 Eventually, after 3 years, Friedhelm Hütte, global head of Deutsche Bank Art, agreed to participate under the given premises, but could not take part himself, due to scheduling. Head representative Britta Faerber agreed to participate instead. The event was scheduled on 17.07.08 3 pm & I arranged the event, promotion, as well as the train tickets. On the morning of 17.07.08 Britta Faerber cancelled via email. 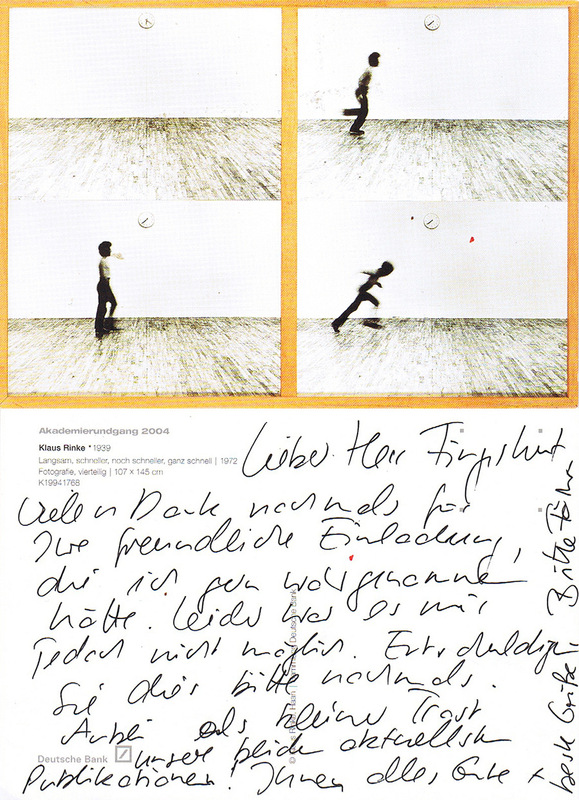 Afterwards Britta Faerber sent a hand written card to apologize, together with 2 books of the ongoing projects of the Deutsche Bank Art.